Speex codec supports customized high definition (HD) voice over IP (VoIP) and file-based compression applications. Speex yields good quality speech using Code Excited Linear Prediction (CELP) encoding techniques, is available with multiple bit-rates, and is robust to lost or delayed packets. Contact us to discuss your Speex voice codec application requirements. 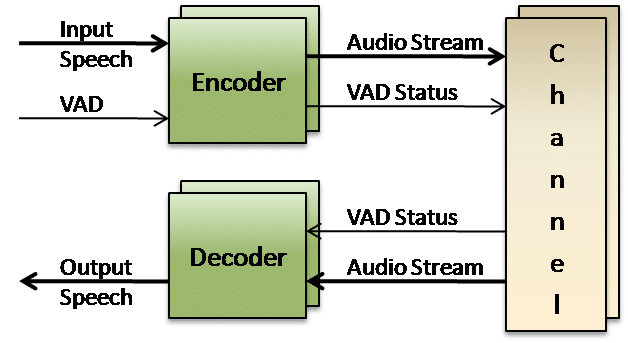 VOCAL’s Speex codec source code is optimized for performance on DSP and conventional processors from TI, ADI, ARM, Intel and other leading vendors. Our Speex vocoder software is available for licensing standalone, as part of a modular software library, or with a VoIP stack for different integration options with your application. Custom designs are also available for our clients to meet your specific needs. VOCAL’s optimized vocoder software is available for the following platforms. Please contact us for specific Speex supported platforms.